Find Better Ideas, Faster ® with a custom health monitor trend report, our PRO Dashboard and 80+ categories of premium trend reports. The Health Monitor Trend Report is a revealing look at emerging health-focused technologies available today. From wearable monitors to a wide selection of smartphone wellness apps, consumers have no shortage of options for better understanding their personal health and wellness. 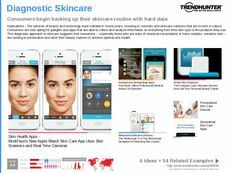 Use Trend Hunter's research findings to gain a completely realized understanding of the latest health tracking options available today. This report is essential reading for those in the medical community seeking to understand modern technology and design. 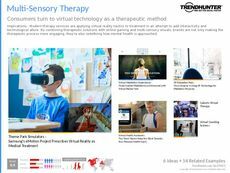 Take advantage of Trend Hunter's data-driven research to gain a clear picture of health technology today, as well as the cutting-edge products and services of the future. The Health Monitor Trend Report is a key tool for keeping informed on the fast pace at which medical technology and design advances.